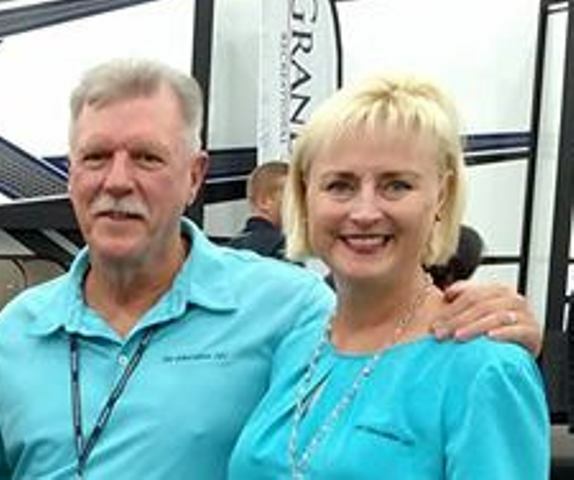 Summer is fast approaching and for RVers that not only means prime travel season is upon us, but so is the heat. If you ever walked inside an RV that is sitting in the direct sunlight on a hot summer day you know what I’m talking about. Fortunately there are some simple things we can do to make our summer RV camping trips more pleasurable. 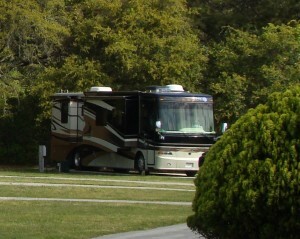 Strategically park your RV to take advantage of any shade that is available, especially on the side where the refrigerator vent is located. Don’t be afraid to ask for a shady site when you check in at the campground. This will not only help cool the RV down, but your refrigerator and roof A/C will work much more efficiently. You can also improve your air conditioners’ efficiency by keeping the A/C filters clean. In most cases you can wash the filters in warm soapy water, rinse thoroughly and allow them to dry before reinstalling. Another option is to clean the filters with a small hand held vacuum cleaner. I recommend you keep a new set on hand in the event the old filters have seen better days. 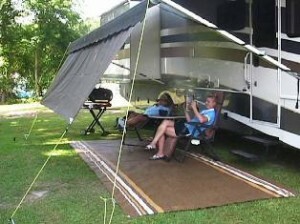 Use your main awning and any window awnings to assist in cooling the RV down. In addition to the awnings use your window blinds or drapes to help keep the sun out and the cooler air in. Campground voltage can fluctuate, especially during the summer months when campers are running their A/C and placing a higher demand on campground electricity. You should monitor the voltage coming in to your RV with some type of digital voltmeter. If voltage drops below 105-volts or goes above 130-volts turn your appliances and electronic equipment off until proper voltage is restored. Install a thermostatically controlled refrigerator vent fan at the back of the refrigerator, or at the top of the roof vent, to assist with drafting the hot air away from the refrigerator. If you are mechanically inclined, these fans are fairly easy to install, or you can have your RV dealer install one for you. Either way it’s worth it. The fan removes the heat built up behind the refrigerator improving the refrigerators performance by up to 40%. Another ingredient to keeping your RV cool is proper ventilation. Proper ventilation helps prevent excess heat from building up in your RV. You can install some type of vent covers over the roof vents to allow for ventilation. MaxxAir Vents are inexpensive, easy to install and they let the fresh air in, even when it’s raining, while the stale, musty air, smoke, cooking odors and heat escapes. Use a vent cover on each end of your RV to help promote cross ventilation. 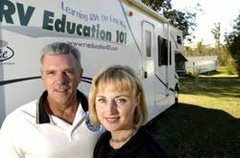 To help keep the inside of the RV cool try to avoid opening the door as much as possible and cook outside rather than inside whenever possible. Take a couple of small fans with you to help circulate the air. If for some reason you can’t run the A/C you’ll be glad you have them. If all else fails head to the pool at the campground and cool off.